At Copier Chicago we pride ourselves on being able to get you’re the best office machines for the best value. We are dedicated to our customers happiness. We believe in going the extra mile to make sure the customer is happy and their business runs smoothly. Our friends at Xerox follow these same ideals when conducting business. It’s one of the reasons that we are proud to sell Xerox brand machines at Copier Chicago. 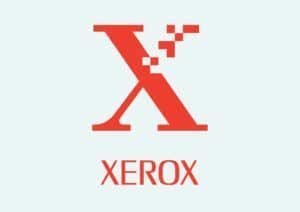 Xerox has a history of being the industry standard for those who want to most from their office machines. They are the masters of innovating the modern office and creating machines that make your life easier. Xerox has the tools to make the best machines for the best price on the market. We work with Xerox because we know that their values mirror our own. They make their machines with attention to detail to make sure everything works the way it should. It’s similar to how we do out best to provide you with the best print and copier solutions. Neither Xerox, nor Copier Chicago will settle until you are happy. And that is something you can take to the bank, because Xerox offers a Total Satisfaction Guarantee with all their machines. That means that they will repair or replace any machine that is not working the way it should. You can relax and know that they will have your back down the road. Call Copier Chicago today to get a great Xerox brand office machine. We will find you exactly what you need for a price that will make you smile.